Robert Peter McLellan has more than $35,000 personal debt to former company he belonged to and a former business person. and insisting he owes nothing which is totally untrue. 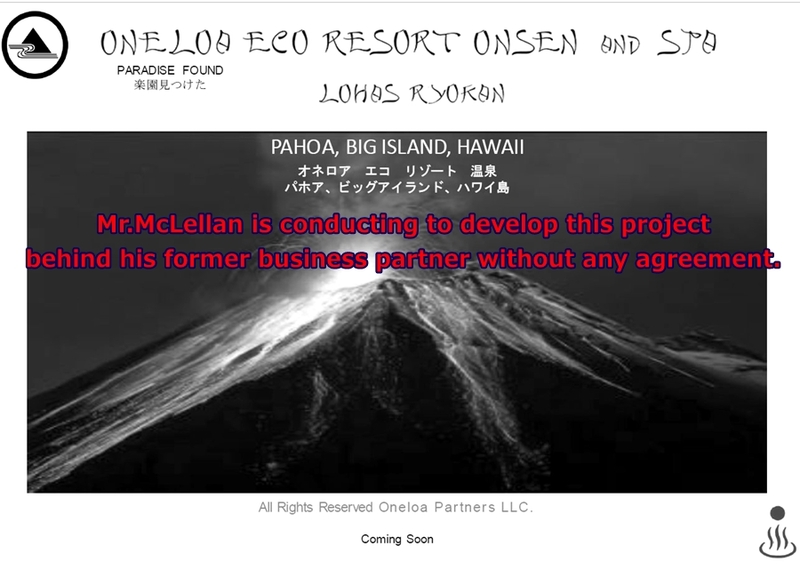 Also, Oneloa Onsen project he tells every potential business investors, partners this is "HIS PROJECT". The truth,this is NOT his project. 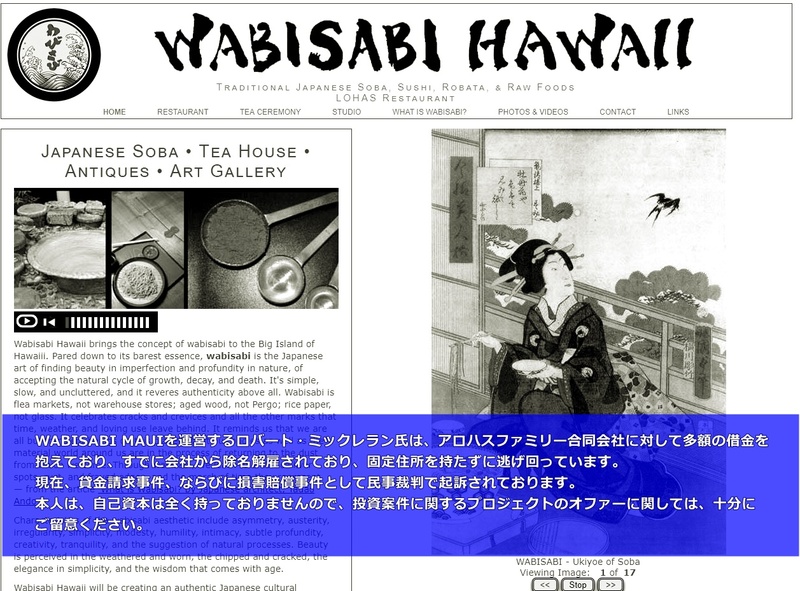 Originally this project brought to his former business person who loaned him the money above. Not only Mr.McLellan never repays but also he now attempting to develop the business behind the back. We strongly recommend you will do Due Diligence very seriously if you are working with him and be cautious to loan him or invest.